This is the first book I have ever read solely on the basis of stumbling across the author on Twitter and rather liking the sound of him. Matt Haig (@matthaig1 if you fancy looking him up) comes across as someone who tries to add something positive to the world, or at least to look at it in a more positive way, which can of course only be a good thing. 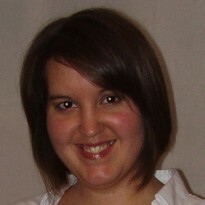 Haig became a writer following depression and a breakdown, finding comfort and meaning in creating stories. The story at the heart of The Humans apparently first came to him in the early months of this creative awakening, but it has taken the experience of several years and several other novels for Haig to develop the confidence to tackle it. The deep personal meaning of this novel is very apparent throughout, but his trademark humour and distinctive darker edges help to prevent it from sliding into sentimentality, leaving us with a remarkable novel which examines humanity from all angles and concludes that, actually, we’re not as bad as we think we are. Looking at human beings from an alien perspective is not a new idea, but it gives Haig the narrative device which allows him to ask the big question at the heart of the novel – what does it mean to be human? The narrator is Professor Andrew Martin, an ambiguous character who is either: a) a professor of mathematics whose efforts to solve one of his subject’s longest-standing mysteries has driven him to a mental breakdown, or b) an alien who has taken on his form in order to destroy all evidence of his successful solving of the problem and thus restoring order to the universe. It doesn’t matter which of these happens to be true. They are, in fact, both equally true. Andrew Martin is no longer the man he once was, and no longer understands the subtleties and unspoken languages of human life. He has to learn how to re-connect with his wife and son, and with the rest of the world. In doing so he discovers that, flawed, brutal and ugly as humanity may be, it is preferable to an eternal life of purity and painlessness. It is only through our flaws, our troubles and our wounds that we find comfort, hope and love. 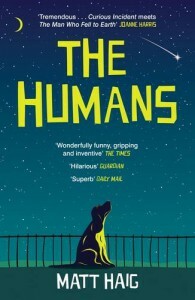 The Humans is an uplifting novel with a serious heart, a lot of humour and some sound advice. I recommend you try it.